TORONTO — Automakers, technology companies and futurists have been telling people for years that autonomous cars could transform the way they live. A Google-affiliated company wants to put that theory to the test on Toronto’s waterfront. 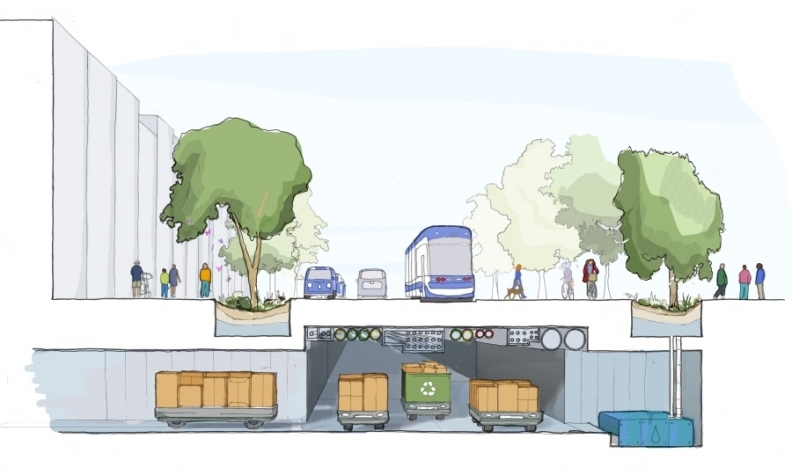 Sidewalk Labs, owned by Google parent Alphabet Inc., plans to build a high-tech “smart neighbourhood” near downtown Toronto that would rely on autonomous vehicles to transport people. While still years away from development, the neighbourhood could be the first real-world showcase for how self-driving vehicles can radically change street design and urban planning. Sidewalk Labs and the government agency Waterfront Toronto announced plans in late 2017 year to develop 12 acres (five hectares) of land near Lake Ontario, just east of downtown. Construction on the property, dubbed Quayside, could begin as soon as 2019 if Sidewalk Labs’ plans are approved by the city. The company has committed $50 million to the development thus far. 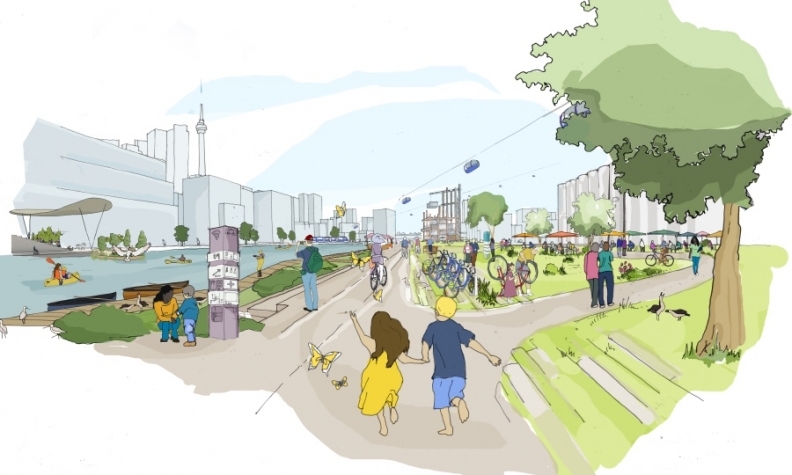 If Quayside, which Sidewalk Labs hopes to use to demonstrate how data-driven technology can enhance urban living, is dubbed successful by government, Sidewalk Labs has plans for an adjacent 800 acres — 3.2 square kilometres — of largely underdeveloped land. There, Sidewalk Labs wants to build a neighbourhood and to use data from cameras and sensors to improve traffic flow as well as infrastructure, the electrical grid and other aspects of city life. If successful, the project could show how data and advanced technology such as fully autonomous vehicles can change cities for the better. But the project also raises concerns about privacy in the digital age and about the role private corporations should play in the development of entire neighbourhoods. Delivery trucks would operate on an underground set of streets. The autonomous vehicle is a major component of Sidewalk Labs’ vision, Aggarwala said. Sidewalk Labs, a sister company of Alphabet’s Waymo self-driving-vehicle unit, could restrict transportation in the neighbourhood to “taxibots” (a fleet of self-driving vehicles that can be summoned via a smartphone app) in addition to cycling and existing mass transit. Street designs in most major North American cities have been based around the automobile. Allowing only autonomous vehicles to use roadways could make them more efficient, Aggarwala said. “When you think about what an urban street is, it is primarily designed to contain the error and unreliability of the human driver. You have to have stoplights because you can’t rely on drivers to coordinate. You have to have curbs because drivers occasionally veer off and you want to keep them away from pedestrians. Restricting roadways to only autonomous vehicles would allow for narrower streets and wider sid walks, for instance. “You can imagine a world that feels ver much like the pre-au tomobile city,” he said David Wolfe, the co-director of the Innovation Policy La at the Munk School of Global Affairs at the University of Toronto said autonomous vehicles, once they are commonplace in dens urban environments, could transform how streets are used, including parking. Autonomous vehicles would in many ways be a complement to the transit system. Larger transit system such as trains and buses would still transport large numbers of people, who would then use taxibots or small vans to get to their desired locations. “We’re quite optimistic that autonomous vehicles really can be harnessed to be in some ways the partner to the transit system,” Aggarwala said. Sidewalk Labs autonomous-vehicle community on the Toronto waterfront might feel like a pre-automobile city. Autonomous vehicles play only a part in Sidewalks Labs’ vision for the site. “Radical” mixed-use developments and highly efficient systems do not necessarily need to rely on a fleet of autonomous vehicles working hand-in-hand with public transit to come to fruition. Doctoroff said Sidewalk Labs promises to “work closely” with regulators and government officials as it rolls out new technology. The biggest hurdles ahead of Sidewalk Toronto might involve public skepticism about self-driving cars and concerns about privacy. Questions abound regarding how Sidewalk Labs can ensure the privacy and security of residents and workers in the neighbourhood when collecting data on them on a scale never before seen in a city, and how government policy might be designed to react to it. Sidewalk Labs says the data will help it increase the neighbourhood’s efficiency and livability. For instance, a constant stream of information on residents’ driving habits and energy use could help urban planners better design roadways and the energy grid. Cameras monitoring the streets could help to determine if a grocery store, for instance, is at a prime location or could be moved. But for privacy advocates, such monitoring is sure to spark significant controversy and concerns about whether Alphabet Inc. would sell data on residents to third parties. 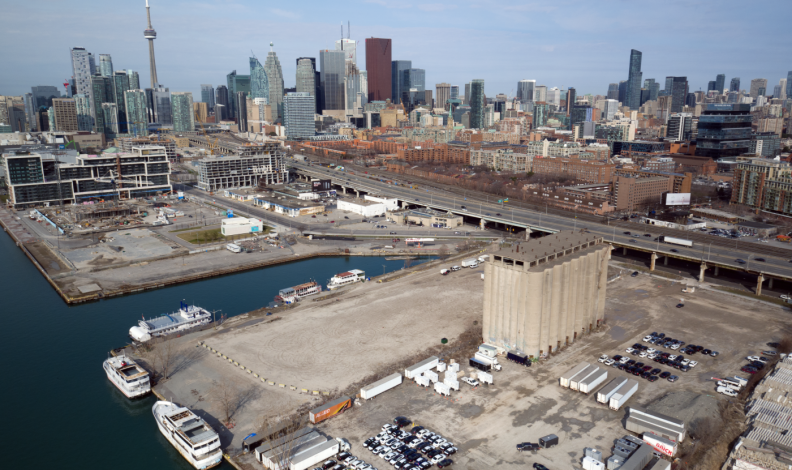 Sidewalk Labs has said it has no plans to sell data from the project, though at this point it is unclear who would own the data. Aggarwala said Sidewalk Labs is taking an approach called “privacy by design,” meaning it will design its sensors to collect only data that is absolutely vital to the project and that is not specifically related to any one individual. “If you create a place where people feel that by entering that place that they’re somehow being surveilled, they’re not going to come. So it’s totally contrary to our interests,” he said. John Holmes, professor emeritus at Queen’s University in Kingston, Ont., said any privacy concerns would need to be overcome for autonomous vehicles and projects such as Sidewalk Toronto to catch on. Doctoroff, who is based in New York City with Sidewalk Labs, said the company has “engaged” with Ann Cavoukian, executive director of the Privacy and Big Data Institute at Ryerson University in Toronto, to advise the company on Canadian privacy laws and standards. “That said, we have already articulated a set of principles around privacy,” Doctoroff wrote in response to a Reddit question. Sidewalk Labs could also face skepticism from the public on autonomous vehicles. Surveys have repeatedly shown drivers as being fearful of giving up complete control of their vehicles, despite potential safety benefits. Aggarwala said the problem will ultimately be solved by familiarizing people with the technology and getting them into self driving vehicles. He said Sidewalk Labs, to establish trust, will hold various demonstrations as it rolls out technologies. “What people both at Waymo and other companies working on autonomous vehicles [say] is that as soon as somebody experiences an autonomous vehicle for more than a couple minutes, they’re automatically comfortable,” Aggarwala said. Wolfe said that scenario remains years from becoming reality. The complexity of urban street design, combined with remaining technological advances, makes it unlikely that fleets of autonomous vehicles will be seen driving around major cities anytime soon. “We’re more likely to see a fleet of automated trucks moving on highways between cities way before we see individual automated vehicles moving around within cities,” he said. Still, Sidewalk Labs sees potential in automated vehicles not only as a way to transport people but also to transport freight. Aggarwala said the neighbourhood could use a network of underground tunnels for automated vehicles to transport freight and other goods, potentially alleviating increased congestion as more people buy products online and have them delivered. “One of the neat things about a robot is that it doesn’t have to go on a street,” Aggarwala said.